This book is sponsored by Eagle 95.7 FM. 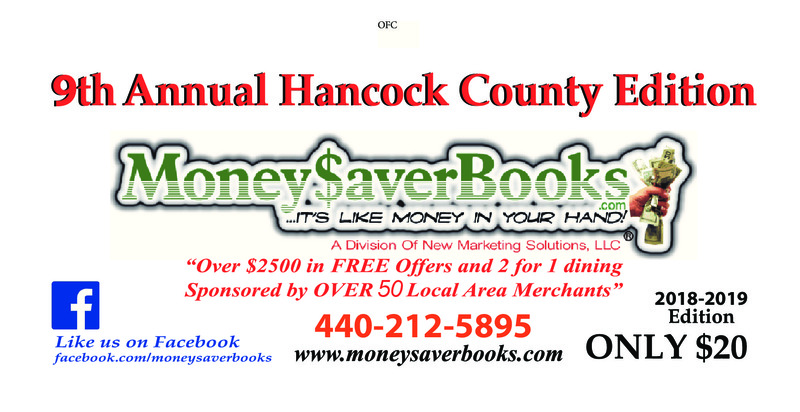 MONEY SAVER BOOKThis book is sponsored by Eagle 95.7 FM. Shipping Information For "HANCOCK COUNTY OHIO 2018-19 BOOKS "
Learn More About Sales Team's Shipping Terms For "HANCOCK COUNTY OHIO 2018-19 BOOKS "
Take Action On "HANCOCK COUNTY OHIO 2018-19 BOOKS "